Welcome to the “MBFossilcrabs” new website! With the aim to share with all the fossil crustacean lovers my personal collection, a pictorial representation of several of the fossil crab samples I have is displayed. You will find the images arranged by superfamilies or infraorders and there by families and subfamilies. The systematic arrangement follows mainly the criteria of Ng et al., 2008, De Grave et al., 2009 and Schweitzer et al., 2009, and the latest two volumes of Treatise, specially important is Guinot, Tavares & Castro, 2013. The fossil decapod systematics is in constant revision, mainly in the latest decade, thus even if it is a hard work, we will try to have this website updated. 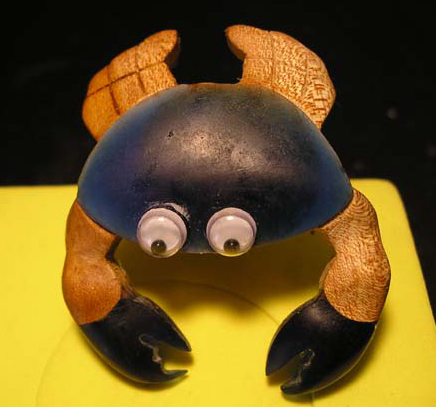 In order to make this website helpful, besides geographical and geological indications, you will find also some bibliographical references to each of the fossil crab species. Of course, your comments and suggestions about the website contents will be appreciated.